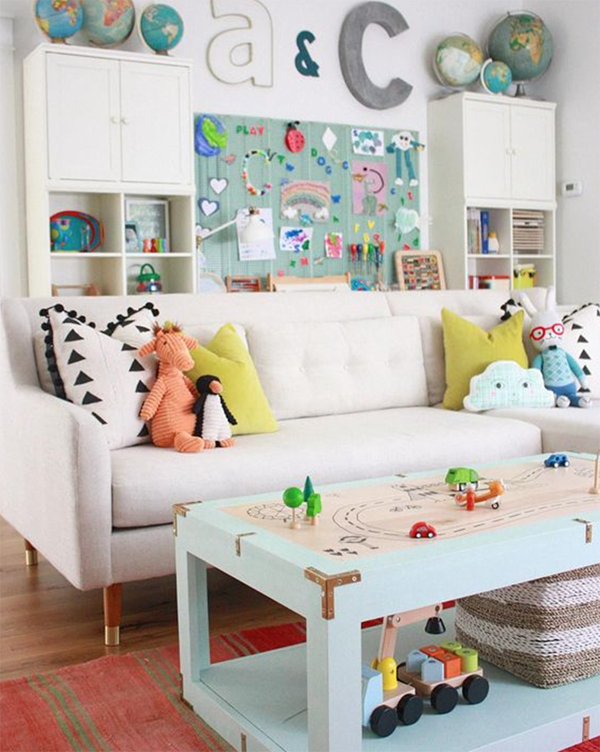 Get the Look: Colorful Playroom! I swear this isn't turning into a kid's blog! I'm moderately distracted by my passenger getting to 37 weeks--which officially makes us "at term"--but it's an accident that I'm doing ANOTHER child-related space today. Maybe next week I'll do some kind of home bar to steer us back into adult territory. My taste has always veered toward the whimsical, so occasionally I see a space that's designed "for kids" and I like most of it for myself. This is one of them. Except instead of doodles on the back wall I'd have vintage travel posters and pictures of my Canadian boyfriend, Justin Trudeau. I'd leave the toys, though, so my daughter could entertain herself, too. It'd be a family hangout zone! One lament: the coffee table in the original picture is a DIY and I'm 99% sure the homeowner hasn't posted a tutorial! Bummer. Based on the picture I can tell she painted the wood frame and added metal brackets, but it's hard to get a sense for the top. If you don't feel like a DIY guessing game (and I totally don't blame you) I found a ready-made table with a similar vibe. 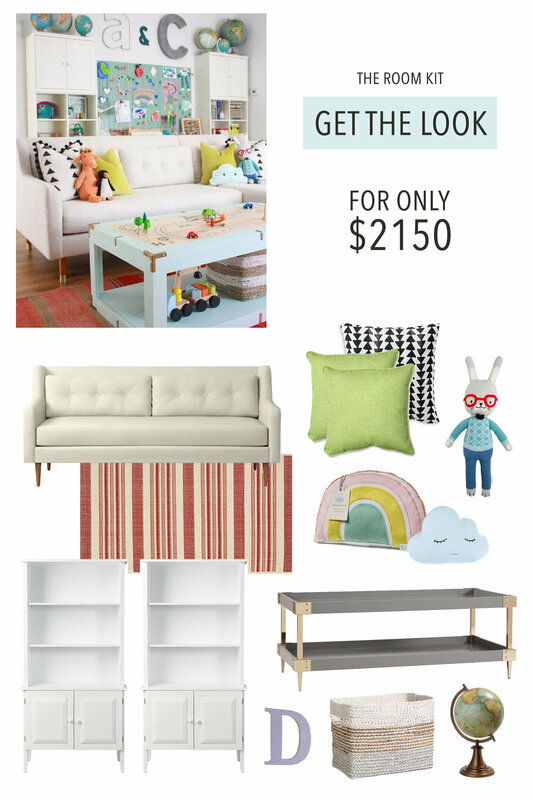 The sofa and stuffed bunny are exact items, though, so you'll still have some authenticity. 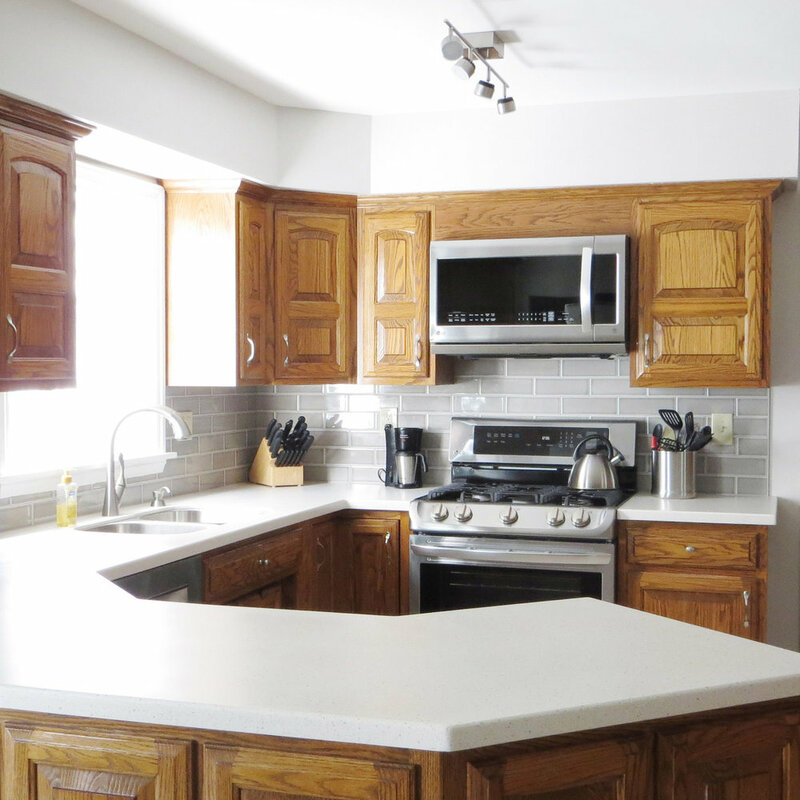 Do you ever pine after a "kid" space? Who else leans toward the fun side of decorating? Should we add this sofa to our short list?